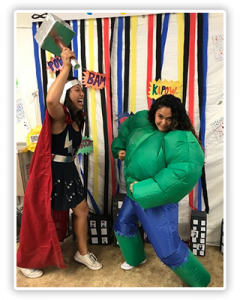 We have summer employment opportunities for those entering their senior year in high school, college students and beyond to be role models for our campers. 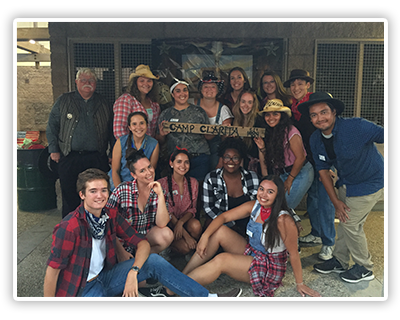 If you are interested in becoming part of an amazing team, then Camp Clarita is the place for you! Availability from 7:00 a.m. – 6:00 p.m. for the duration of the week program. Actual shifts will vary based upon the needs of the program. Staff is placed at park locations based upon the needs of the program. Evidence of negative TB test taken within the last two years. First Aid/Adult & Pediatric CPR/AED certification is required within one week of hire. Additional requirements, please refer to the job bulletins. April 17, 2019 – Application deadline at 12:00 p.m.
May 11, 2019 – Staff Interview Day for all new staff from 7:30 a.m. – 12:00 p.m. If selected for an interview, you will be required to participate in the Camp Clarita Staff Interview Day. For candidates who are away at school, Skype interviews will be scheduled May 6-9, 2019. June 3-6, 2019 – Leadership Training, hours TBD. This is mandatory for all Camp Directors and Camp Assistant Directors. June 10-13, 2019 – Staff Training, Monday – Thursday from 8:00 a.m. – 5:00 p.m. This is mandatory for all Camp Clarita Staff. For further information regarding job duties and qualification or to apply, please visit the City’s Human Resources webpage.